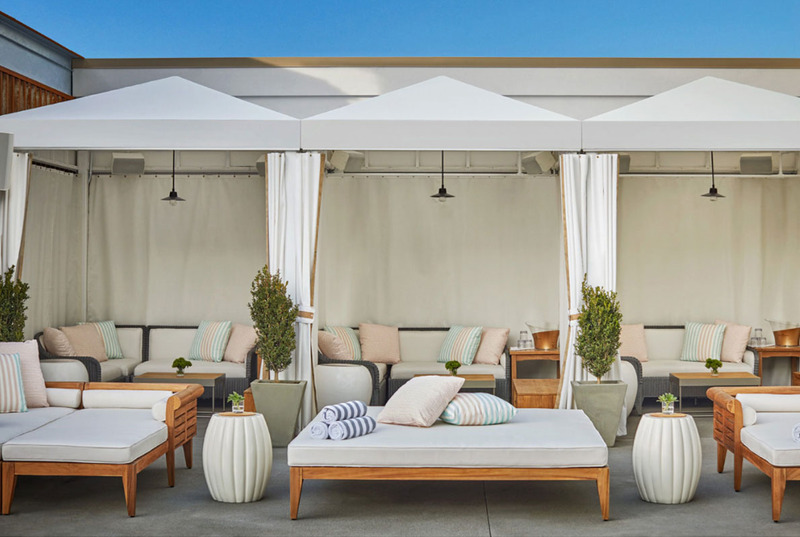 If you’ve ever stepped foot onto Pool House’s stunning rooftop pool deck, then you know that this outside oasis in one of the most unique (and the most fun) spots in all of San Diego. 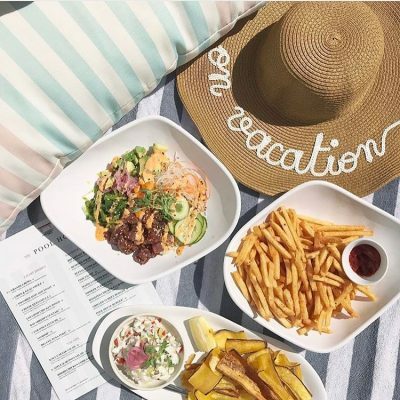 Located at the San Diego Pendry Hotel in the Gaslight District, Pool House has become one of the go-to spots in the city for some wet and wild fun in the sun. 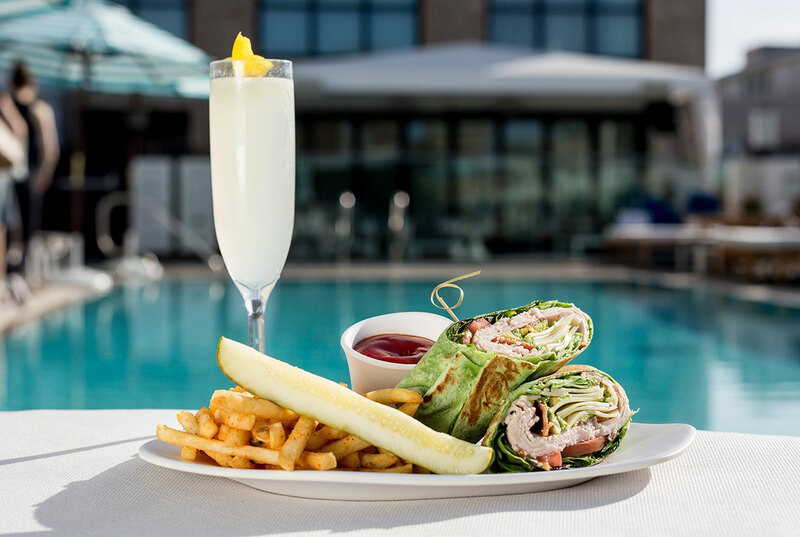 So, while you may know Pool House is one of the coolest spots in the city, you may not know everything… just to keep you enlightened here are 8 fun facts about Pool House that you may not know, and that may help you make the most of your next visit. Getting to lounge around in one of our daybeds is one of the best parts about visiting The Pool House. However, did you know that you can actually make reservations for these daybeds? Yep, if you want to make sure that you and your crew get the best seat in the house. Just call us at 619-738-7030 or email us at contact@poolhousesd.com for more information on making your daybed reservations. Here at Pool House, we don’t only have some great food to enjoy poolside, we also have some gluten free options as well. This includes dishes like our Duck Confit Tostadas and our Apple and Quinoa Salad. If you are vegetarian, we also have a number of great vegetarian dishes such as coconut ceviche and chip and guacamole. Looking for the perfect place to sit outside and enjoy a delicious lunch? Pool House has you covered. We are open for lunch every day, so come by and browse our menu of lunchtime specials. If you are looking for an event space that is unlike any other in the city, then we know just the place. You can actually rent out the entire Pool House space for your private event. Trust us, it is one event space that your guests will never stop raving about. Every time you head to Pool House you can always expect to have a great time. However, that doesn’t mean we don’t like to switch it up when it comes to our entertainment. Make sure to follow us on Instagram, Twitter or Facebook for updates on some of the exciting bands that will be making their way to The Pool House this season. You’ve never see a real Sunday Funday until you’ve been to Pool House. 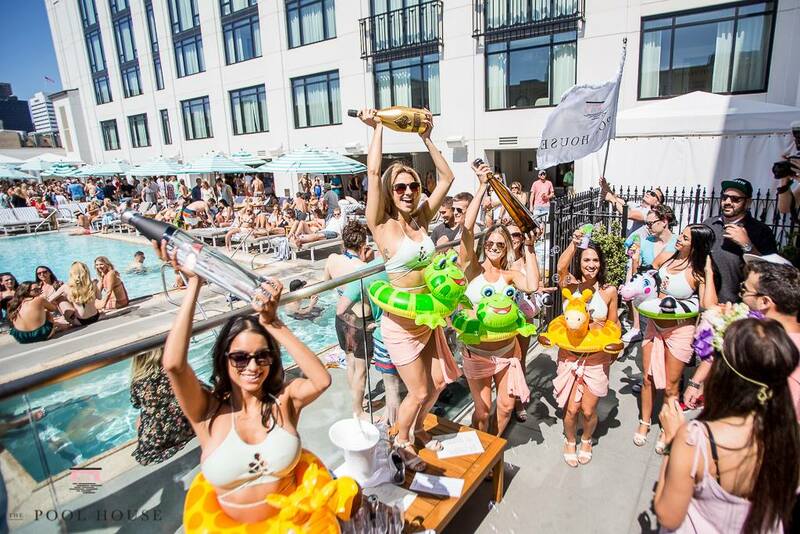 On Sundays, our pool deck transforms into the best day club in San Diego. With wild parties and the area’s hottest DJs performing live. It is one party that you won’t want to miss. Here at Pool House, you better believe that all of our cocktails are out-of-this-world delicious. However, when it comes to our Mojitos—no one can compare. We actually have four different types of hand-muddled Mojitos: traditional, coconut, passion berry and pineapple. If you really love them you can even order an entire pitcher. 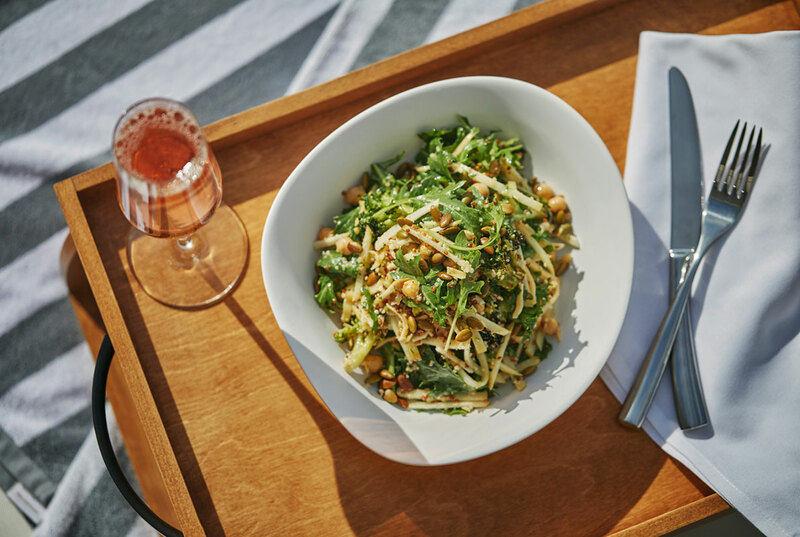 We love our menu of casual eats here at Pool House, but did you know that you can also order some of our favorite dishes from our sister restaurant LionFish (also located in the Pendry)? On our evening menu you will find classics like the Big-Eye Tuna Pizza and Crispy Rock Shrimp that are out-of-this-world. The best part? You can enjoy them poolside. Got Pool House on your mind? We thought you would. 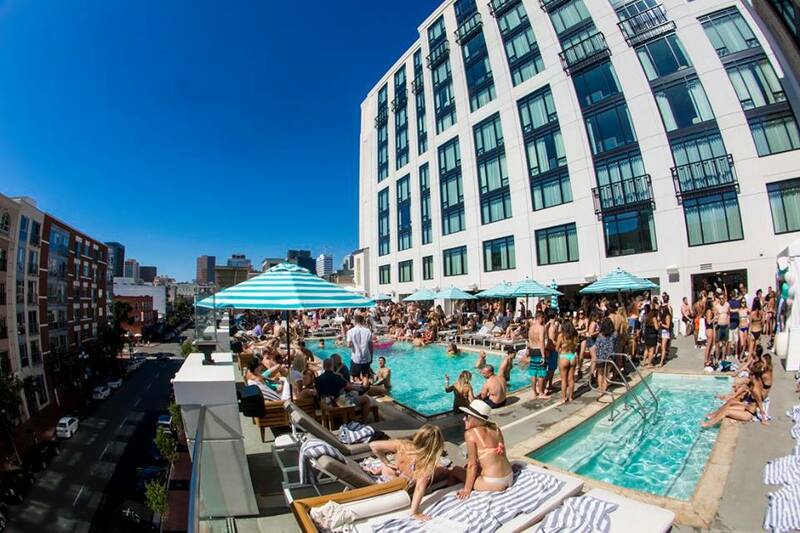 With so many great things about our rooftop pool deck to enjoy, we don’t blame you. Now all you have to do is to come down and visit us at Pool House yourself and see what things make your list of favorites.